Imochiura Church is a catholic church in Fukue Island, belonging to Goto Islands (refer to #514). Hidden Christians moved from Kyushu Island (refer to #063) to this island at the end of Edo era (the later half of 19th century). 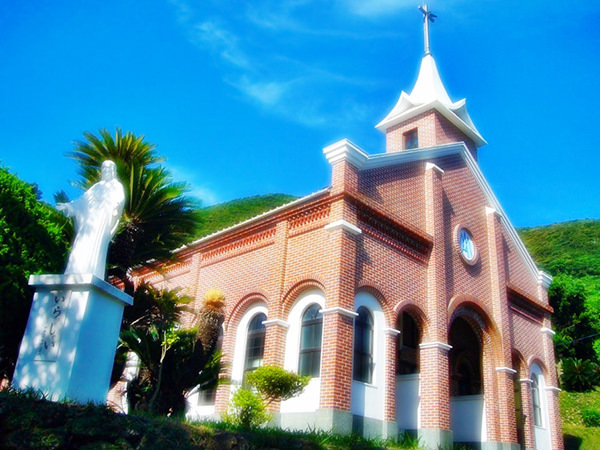 Imochiura Church is widely known as "Lourdes in Japan". 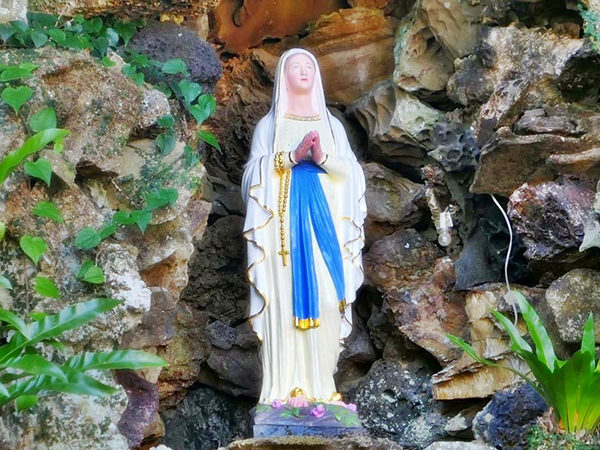 The fountain of miracle on the premises was made in 1899, modeled after the springs at Lourdes in France.